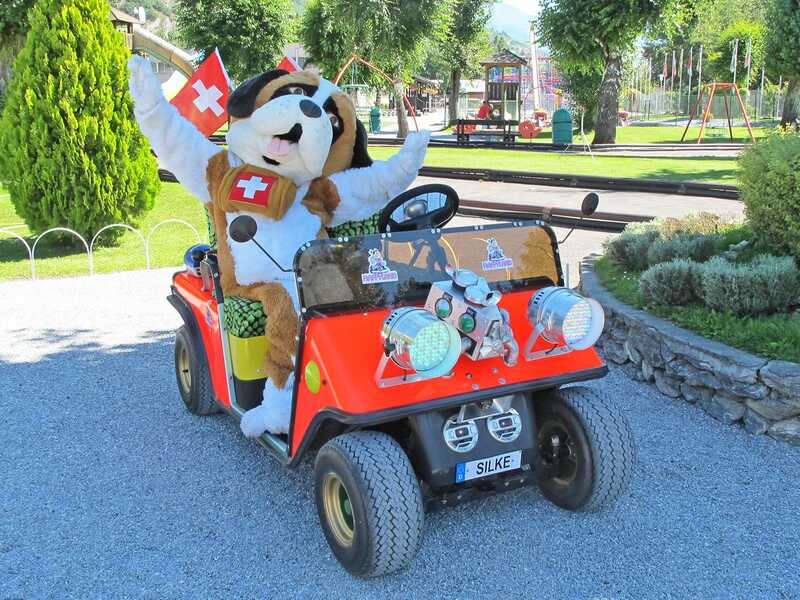 Visitors travelling to Happyland New from Geneva should be aware that the reasonably sized car park they encounter next door to the park is for something completely different, despite it being staffed by people in matching Hawaiian shirts. We realised our mistake quickly and relocated to the correct location, namely the side of the road in front of the entrance gate. Walking into the park, we were immediately greeted by the two park mascots, both of whom were apparently delighted to pose for photographs. It quickly became obvious that this was for the most part a children's park, albeit one with a large log flume in the corner towering over everything else. Tropical Track (#1544) was until this week the only fixed roller coaster in Switzerland larger than a Heege Butterfly. Though at first glance it looks like a Big Apple it is actually somewhat larger, and a surprisingly good family coaster. A three hour drive across the country brought us to Conny-Land, a particularly nice park located a few miles east of Zurich. 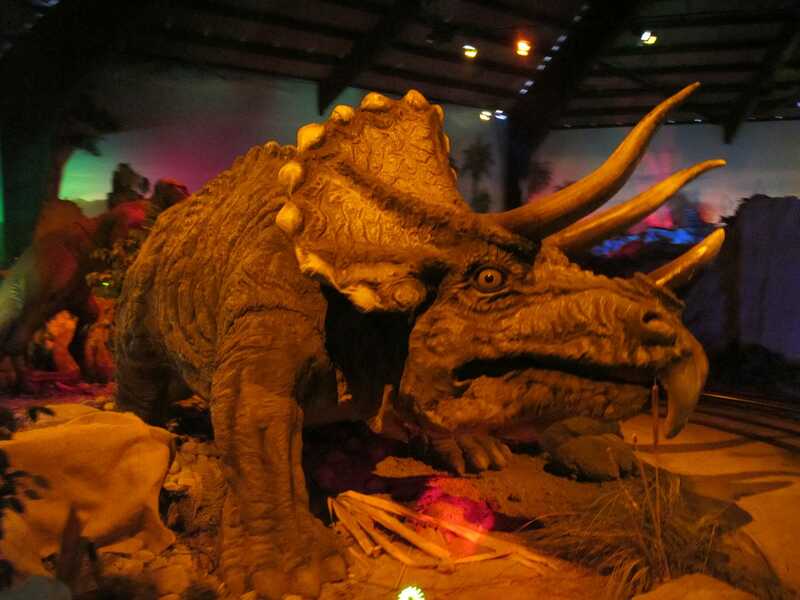 Though small by international standards it is packed full of worthwhile rides, including a flume, a rapids, a superb dinosaur-themed dark ride (pictured below), a simulator, and its signature attraction, a show involving performing dolphins. The various rides have been beautifully themed, with the whole park blending together nicely. Unfortunately the otherwise top-notch experience is let down by what is probably the most uncomfortable roller coaster I've been on this year. Cobra (#1545) is a shuttle loop by Pax which finally opened to the public last week after three years of delays. Visually the ride looks very impressive, with a loop and inverted reverse point located in front of the park gate. The station building is a work of art, with some wonderfully decorative theming which must have cost a fortune. Unfortunately, the quality of the track is haphazard at best, and the train (featuring overhead restraints) cannot negotiate it without bouncing in all directions. The result is a coaster which beats the stuffing out of its victims passengers. This writer was stupid enough to ride a second time towards the back of the train, and spent the rest of the evening regretting it. As an aside, secured glasses were forbidden on this ride. I've ranted about the stupidity of this policy on more than one occasion. Switzerland has a huge amount of local expertise in building quality roller coasters, being home to companies such as B&M and Intamin. Pax were almost certainly cheaper than the locals, which might explain why they were chosen. Unfortunately, the old maxim applies; you can polish a turd, but it still smells. We spotted a Ferris wheel by the side of the motorway when driving past Mulhouse, and decided it was worth making a short detour to investigate. Much to our surprise we'd inadvertently stumbled upon a large fair, featuring a good selection of attractions. Many of the larger rides were not open for our visit, presumably because fairs in this part of the world only tend to come alive after dark. Both coasters were, however, allowing us to claim a pair of identical credits on Big Apple (Naisse) (#1546) and Goulis (Coppier) (#1547).